Brazilian Extreme Metallers NERVOCHAOS have released a 360 video for “Ritualistic,” a song from forthcoming album Nyctophilia. The video was directed by Angela Rodrigues and Jackson Kleber with filming/editing by Adonai Filmes, photography by Victor Ponce, Art Direction by Lu Bueno, and Color Grading by Marcelo Cosme. Experience it firsthand at this location. NERVOCHAOS has returned! Nyctophilia is the seventh studio album by the Brazilian extreme metal kings and will be released on April 7, 2017 through Cogumelo Records in Brazil, and Greyhaze Records in North America and Europe. A lyric video for new song “Moloch Rise” is available at this location and the official video for “Ad Majorem Satanae Gloriam” can be viewed here. 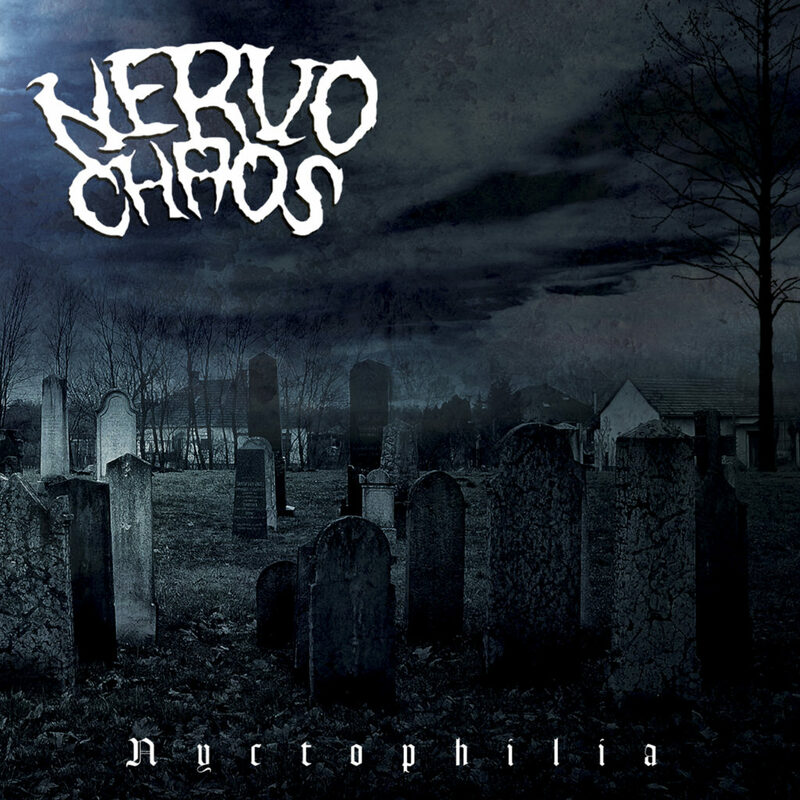 Nyctophilia is an eclectic mix of all that characterizes the band, 13 new tracks of 80s-fueled blackened extreme music, executed in NERVOCHAOS’ trademark raw, aggressive and organic style of Metal. Nyctophilia has a new intensity and is a step forward compared to their older releases. For the first time, the band recorded the album outside Brazil, spending a month in Como/Italy at Alpha Omega Studio along with producer Alex Azzali, who also did mixing and mastering of the new album. It’s also the first album composed and recorded with the new line-up which features Lauro ‘Nightrealm’ on vocal/guitar, Cherry on guitar, Thiago ‘Anduscias’ on bass and the only remaining original member Edu Lane on drums. The album artwork was created by Alcides Burn, a talented Brazilian artist that worked with acts such as Blood Red Throne, Acheron, Iconoclasm, Headhunter DC and many more. Nyctophilia also features special guest vocals appearance by Sebastian L. of INTO DARKNESS and Leandro P. of R.N.S. plus one track, “Vampiric Cannibal Goddess,” that features the riffs of Bolverk (RAGNAROK).